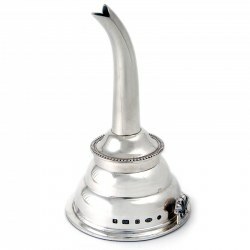 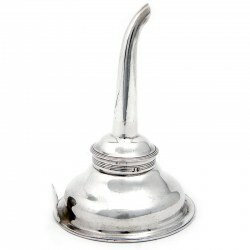 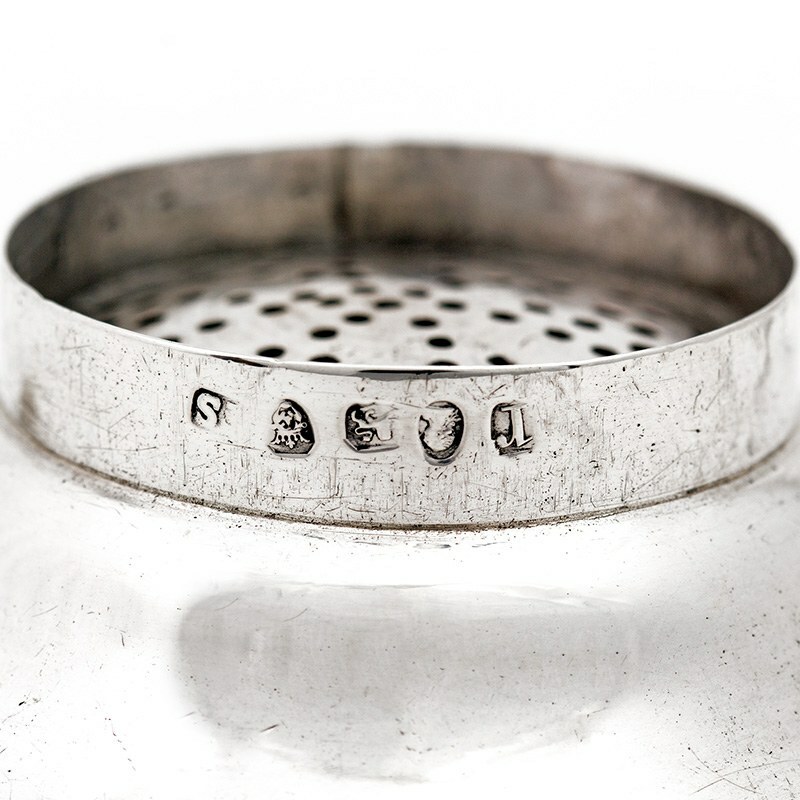 A very elegant George III silver wine funnel. 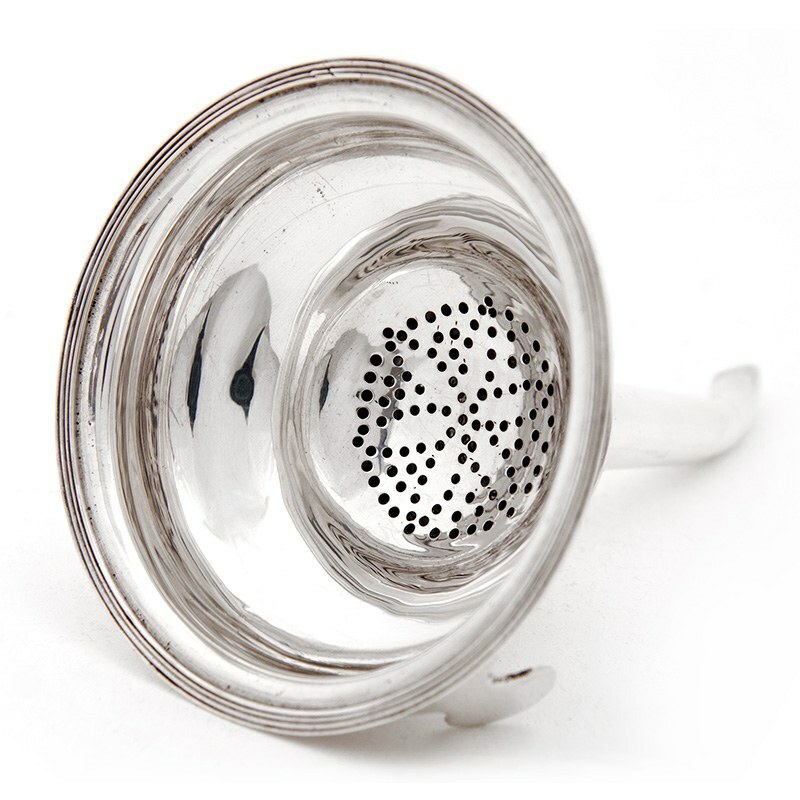 The bowl has a reeded border and a shaped clip. 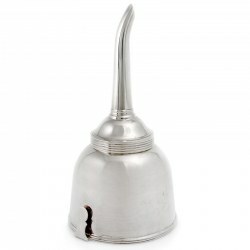 The curved spigot funnel is detachable from the bowl and also has a matching reeded border. 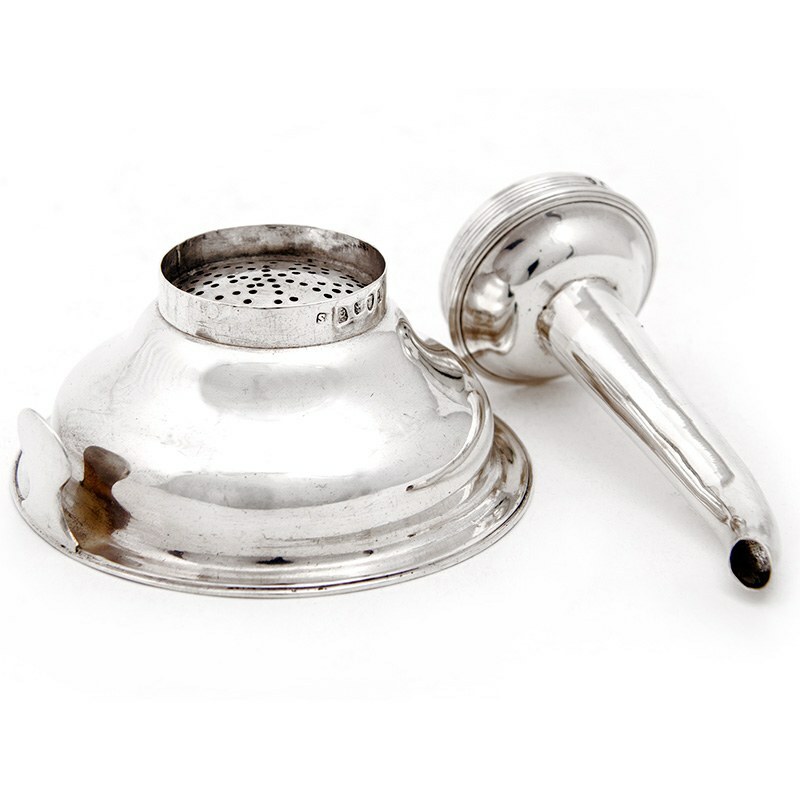 In excellent original condition.